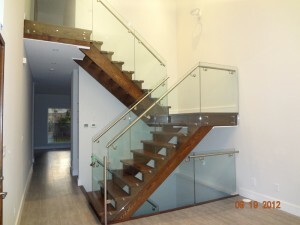 The Ingredients to Make the Perfect Staircase - Stair Star Inc.
For some households, the staircase is simply the way to gain access to the upper levels of the house. However, some families consider their stairs to be a prominent feature of their home. It is the first thing you see when you walk through the front doors, designed in a way to stand out like a piece of artwork. 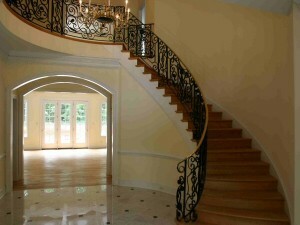 No matter what purpose your staircase holds, you want to ensure that it is built properly and to the highest standard. Because you and your family will walk on it on a daily basis, safety should be of top priority. That isn’t to say though that you cannot have a stylish and safe staircase. Whether you’re looking to build brand-new, remodel, or buy a set of stairs, we have the ingredients that make up the perfect staircase. Where you place the staircase can be very important in some houses. You need to decide if you want the stairs to stand out in the centre of the home, or do you want them more tucked away against the wall? Before anything, the first ingredient should be where you install the stairs. The next ingredient is the size of the stairs. How wide do you want each step to be? How far apart should each step be? Also, the size should consider if you want the stairs to go straight up to the next floor, or add in a curve to make them longer. You have many options when it comes to the style of the staircase. No longer is the traditional straight staircase your only option. There is a variety to choose from, including circular, flair, open riser, and winder. Do you have a preference of what you want your staircase to be built out of? Depending on the style of your home (modern, traditional, contemporary), you can build a set of stairs to match. If you’re designing an elegant and traditional home, a soft wooden staircase with round corners will do the trick. However, if your house is modern and bold, a unique floating staircase would really wow all of your guests. Those aren’t the only materials used to build stairs. You can use metal, stone, glass, and acrylic. The colour of your staircase should matter. Just like the style and the materials used play a part in the overall design of your home, so too does the colour. 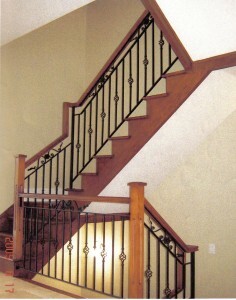 A house that has soft and dark tones would clash with a bright and bold staircase. So, take into consideration what colour you want so that it blends in with the rest of the house. 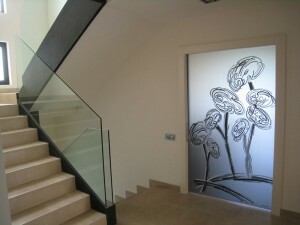 Want to jazz up your staircase a bit more? You can always incorporate lights in many ways. Not only that, they add another safety element so that people can see where they’re going in the dark. Consider strip lights along the railing or edges of the stairs. Floor lights installed on the step add another element to the staircase. You can also go for more traditional lights on the wall or hanging from the ceiling.